In 2007, my buddy Darrin and I drove to Cleveland to attend the National Sports Collectors Convention. We attended for one day and had a really good time walking the show and buying cards. Without question, it was the best sports card show I have been to and I blogged about it. This year the show was in Baltimore, MD from August 4th to August 8th. Since Darrin is originally from Baltimore and it's drivable from my place in Brooklyn, we knew we'd be going. We've actually been looking forward to this for almost a full year. I'm not going to get to go into as much detail this post as I'd like, as it is late and it was a very long weekend. There were a good many moments that may not make it. Sorry guys. Thursday morning I woke up at 4:00 AM and drove down to meet Darrin. Thankfully I blew through NJ and DE pretty quickly, and made it there by 8:30. We were all ready to go when the show opened at 10:00. The conference center didn't look so big at first, but that was because we didn't see the second and third rooms. It was absolutely huge and there was no way we could have made it though the whole thing in one day like we did in Cleveland in 2007. Since both of us have similar collecting interests, we like to walk the show together (trash talking and making fun of pretty much everything in sight). This show did not disappoint in so many ways. 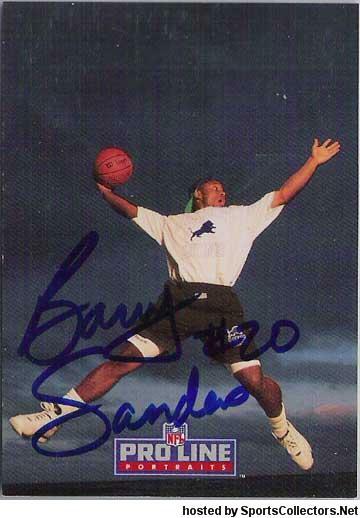 My eyes nearly popped out of my head when I saw the Sanders for my 1993 ProLine set, as I have wanted that card since the day I first saw it when the set came out. 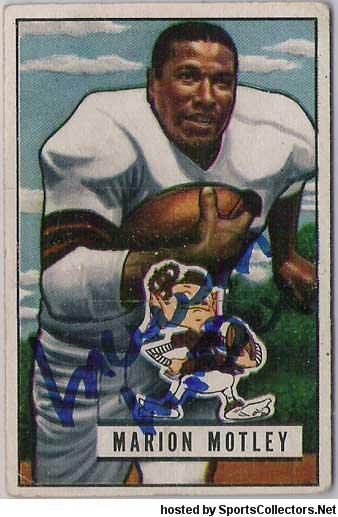 I am now 3 away from finishing - Barry Foster, Wilber Marshall, and Art Monk. I was really psyched to pick up cards of Fears, Tittle, Lane rookie, Selmon rookie, Fears, and a couple of 1966 Philadelphia cards. We then hit Mainline's table about 20 minutes, and we each got 1971 Topps Ken Houston signed rookies for $9, the Frank Mahovlich/Bob Pulford missing link card, and I picked up a nice assortment of cards for my sets. We were walking around looking at some unsinged cards, then I saw the Page rookie I needed for $10 in a book and bought it. He gets $20 by mail, so I figured this was good. Now I am happy what I bought (and will be super happy when I get a good many of them signed), but Darrin did better than I did in finding deals (as usual). The absolute steal of the show came right as we were getting ready to leave, there was a dealer with autographed cards in the last row and he found a signed 1958 Topps Jackie Jensen All Star for $8. Jensen died in 1982, and cards like this nromally go for $75-100 on eBay (and even more at shows). By the end of the day, we were both completely exahusted and didn't even make it to third room on the left side. We got some great Mexican food for dinner as we divied up our take. We went back to the guy with the older football and picked some more cards (I wound up getting the 56 Topps Y.A. Title pictured above for $10). Darrin got a 4 other 50's HOF guys. We noticed his amazing inventory was starting to thin out - as was the case with many dealers. Since we figured we had gotten most of the better autograph deals on Thursday, we figured we'd look for cards to send out on Firday. We spent the next few hours digging in boxes and getting lots of interesting stuff. We noticed that there is just such a glut of 70's and 80's football and hockey out there that we could routinely find decent stuff shoved in quarter boxes. Throughout the day we got to meet quite a few members at various times at the show. Everyone was really cool and had so many positive things to say about the show. As I was getting ready to leave, I ran into one of our long time members Kevin (username kaneen) and some of his friends. We chit-chatted for a bit and he invited me to join them for dinner. We had a really enjoyable time over dinner talking about the hobby and how the show is going - it was really interesting as we all had somewhat different perspectives and were from different parts of the country. Kevin was staying at the Hilton, overlooking Camden Yards. The balcony on his floor had a fantastic view of the field (shown below), so we watched the last 4 innings of the O's win over the White Sox, followed by a pretty great fireworks show. 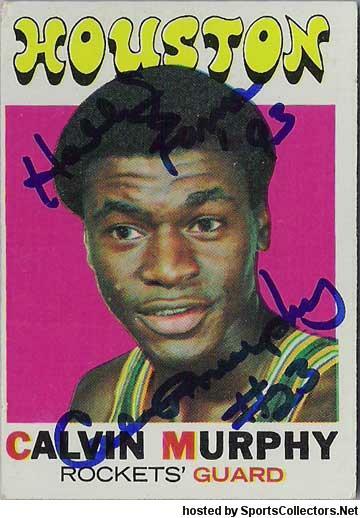 I had decided to go for Saturday in order to get Calvin Murphy who was signing as part of the VIP package. I had bought a ticket from AutographAl for $10 and was planning to get my rookie card signed. Since Calvin wasn't signing until 2:00PM, I figured I'd kill some time browsing some of the higher stuff I had previously ignored and digging through some quarter boxes. I probably spent about $15-20 and quite a bit of decent stuff that hopefully get signed this year. Just as I was about to go get Calvin, I wandered by a table and noticed a book with autographs. I bought a nice sized lot of 1980's signed star cards (Guidry, Molitor, Ozzie Smith, Whitaker, Gary Carter, etc. ), many of which I'll be giving away to SCN members in the coming months. I wound up leaving soon after and made a 5 hour drive home. Hit some traffic in every state and displayed plenty of road rage. Overall, the show was extremely fun and rewarding. I have to start planing a good bribe to my wife so I can go next year in Chicago. 1) I am really proud of the community we have on SCN. Every person I met in person was really cool and was really supportive. I'm especially in awe of one guy's pre-war baseball stuff I got to briefly see. The 1800's HOFers and the signed 1915 Cracker Jack had me gawking. And that is before I saw the Babe Ruth cut. 2) There more autograph collectors and dealers at this show than any other I have been at. There were some fantastic high end items and some deals to be had. 4) Grading has completely taken over. I saw PSA and JSA all over the place. And their tables were completely packed the whole show. I feel like it's a license to print money. 5) People were spending money... Serious money. 6) There are dealers who think it's the mid-1980's and will never sell their cards at the insane prices they are looking for. Beckett prices are meaningless, wake up folks. 7) There are a lot of GREAT dealers not selling online. And some of them only do the National. 8) Private Signings are a very important part of the hobby. I got to meet Chris Potter and others who do them, and my next priority is to launch the Private Signings section to better organize them on SCN. 9) Dealer inventories thin out very quickly, especially for vintage autographed cards of HOFers. Going on an earlier day was a great help to us. If you collect signed sets or signed cards, it is extremely challenging to stay organized. It can be difficult to keep track of the cards you need and the signing habits of those players. I am a set collector and I have felt this pain over and over and over. For quite a few years, members have been asking me for the ability to track the signed cards they are looking for in their collection. While you could start a thread on some message board or email around a spreadsheet, they're a lot of manual work and are terrible solutions. Last year I launched SportsCardDatabase.com (SCDB), with the goal of it being a sports card reference (among other things). Since then, the project has continued to grow and so many of you are using it/adding information to it - thanks... So, now SCN is using that card information to solve the problems mentioned above. This functionality is available for basic AND premium members. All the card data is based off the sets in SportsCardDatabase. If you are interested in a set not yet available, you can go add the checklist to SCDB. If you see errors or inconsistencies between the two sites, please contact me. I loved watching college hoops in the early 1990's. The 1992 draft alone was just amazing with so many of my favorites - Shaq, Mourning, Walt Williams, Tom Gugliotta,Laphonso Ellis, Latrell Sprewell, Robert Horrry, Clarence Weatherspoon, Jon Barry, Doug Christie, Harold Miner, and Jim Jackson. 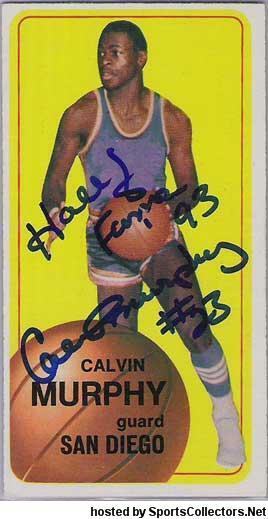 I think that was the year that basketball card collecting really exploded in popularity. At that time, the Dallas Mavericks were absolutley awful! They had went for it all a few years earlier with some really bad deals (Alex English, Adrian Dantley, and Fat Lever) and they were in full rebuilding mode. I remember when Terry Davis was their best player. From 1992-1994, the Mavs had high draft picks and selected 3 extremely talented offensive players - Jim Jackson, Jamal Mashburn, and Jason Kidd. By 1994, Kidd was running a really high powered offense and these guys could really score. Of the three, Jim Jackson was my favorite. I know he held out for months during his rookie year and he bounced around quite a bit during his NBA career. He was such a well rounded player at Ohio State, and carried that team for stretches. I remember how excited Nets fans were when Don Nelson traded him and Sam Cassell in the Shawn Bradley deal. So I found a really cool from 1996 Upper Deck and I had always waned to get it signed, as I love getting multi-signed cards. The first player I got was Kidd when he first came to the Nets. 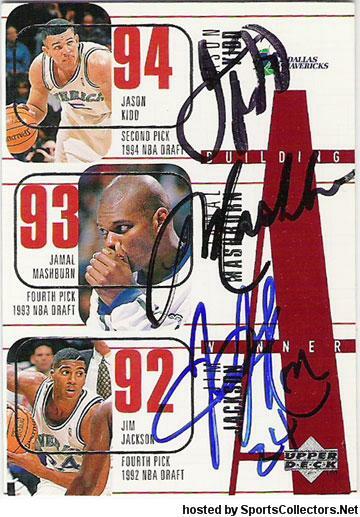 Then I got Mashburn right when he joined ESPN as a studio analyst. Thanks to the lead from Mark from Mark's Signing Bonus, today I got Jim Jackson c/o the Big Ten Network.